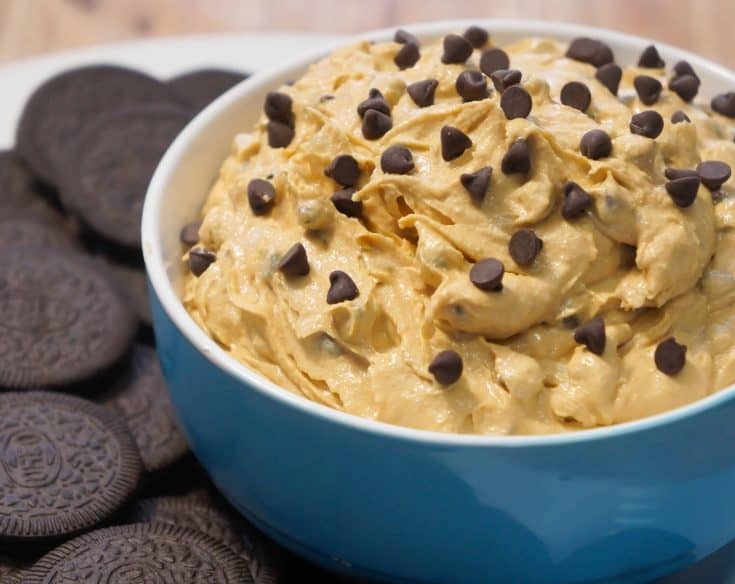 This Peanut Butter Cookie Dough Dip is an easy no bake dessert recipe perfect for parties. 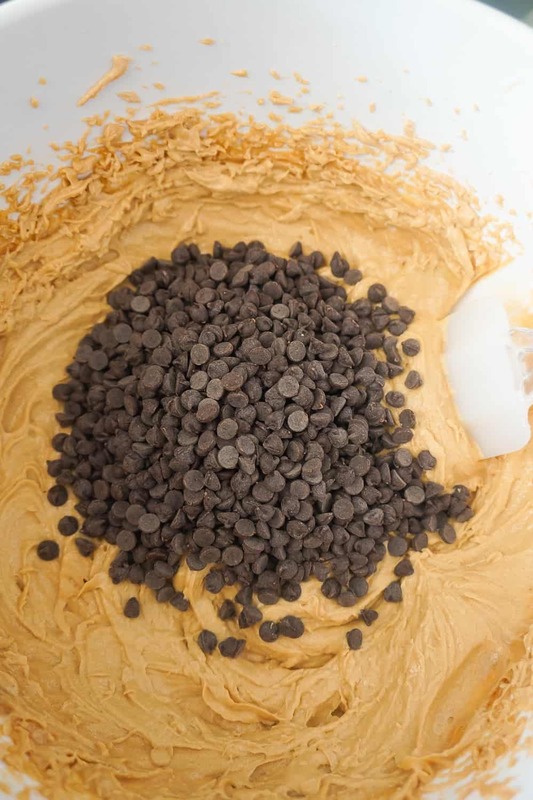 Loaded with mini chocolate chips this peanut butter dip will be sure to please the peanut butter and chocolate lovers in your life. 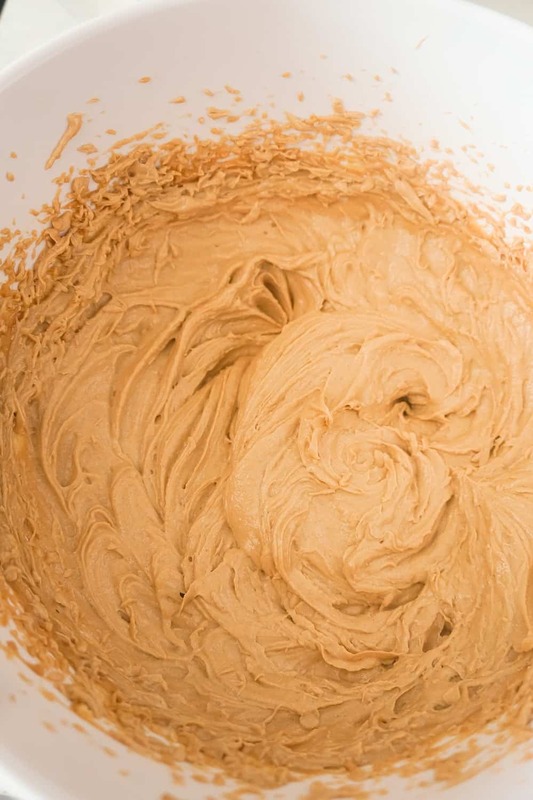 Watch the video to learn how to make Peanut Butter Cookie Dough Dip! You could serve this dip with any cookie or sliced fruit but my absolute favourite accompaniment for this dip is Oreo Thins. This cookie dough dip does not contain eggs or flour. 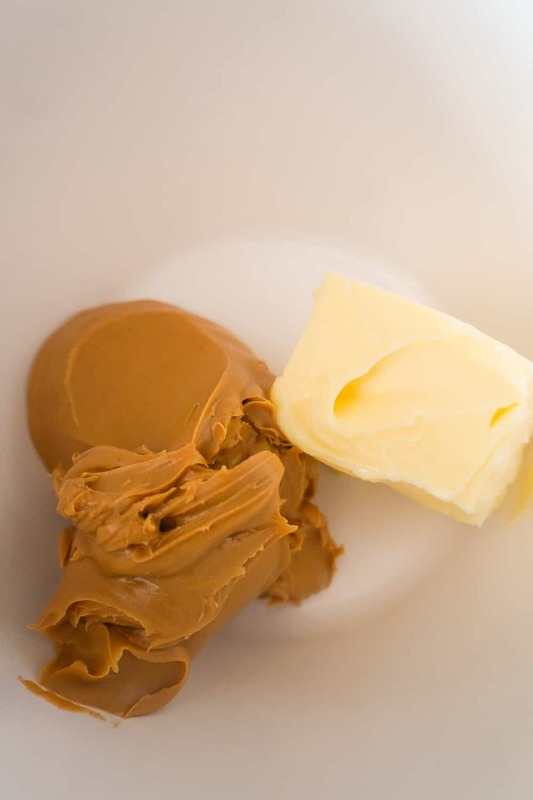 To make this dessert dip, I started by dumping some smooth peanut butter and softened butter into a large mixing bowl. Then I creamed them together with an electric mixer until the mixture was nice and smooth. Then I added in some golden brown sugar, vanilla and salt to the bowl. I continued mixing with the electric mixer. Once the mixture was smooth I added in some mini chocolate chips. I used a rubber spatula to stir the mini chocolate chips into the dip. I scooped the dip into a bowl for serving and sprinkled more mini chocolate chips on top. 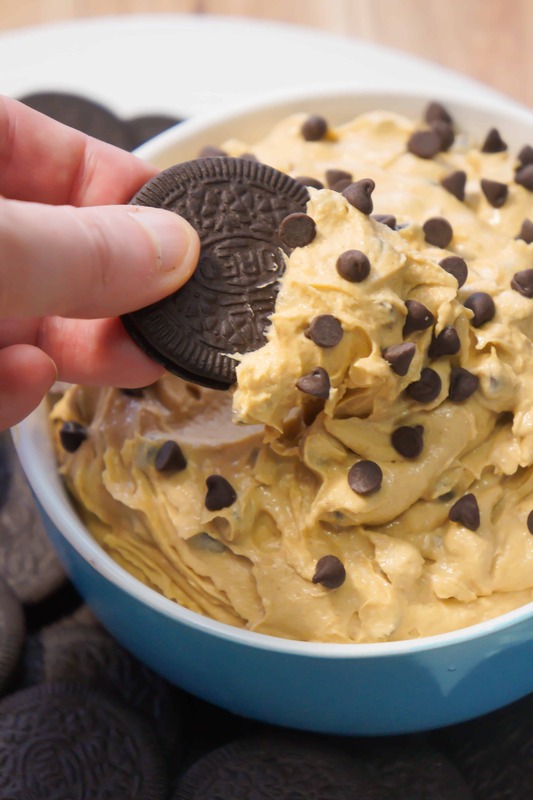 I served this cookie dough dip with Oreo Thins because Oreos and peanut butter are one of my favourite flavour combinations. 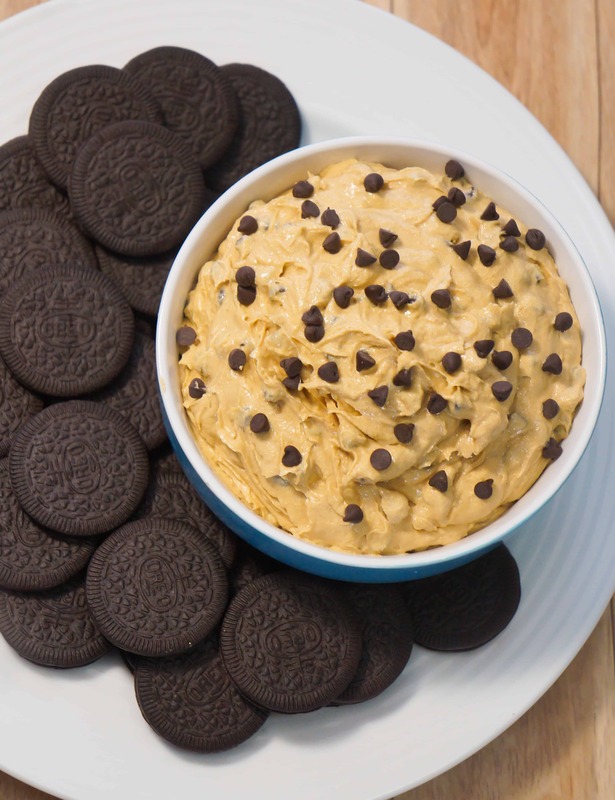 This dessert dip would serve 8-12 people. 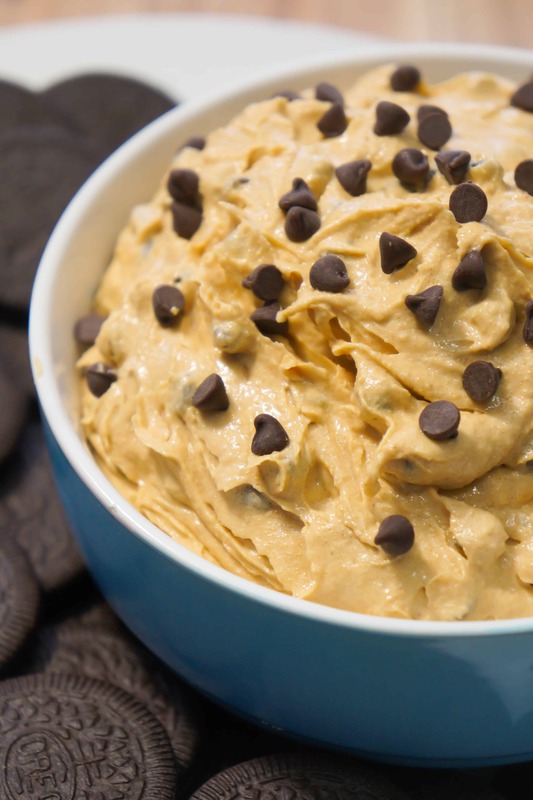 Peanut Butter Cookie Dough Dip is super rich and delicious. You won’t be able to stop eating this addictive treat. 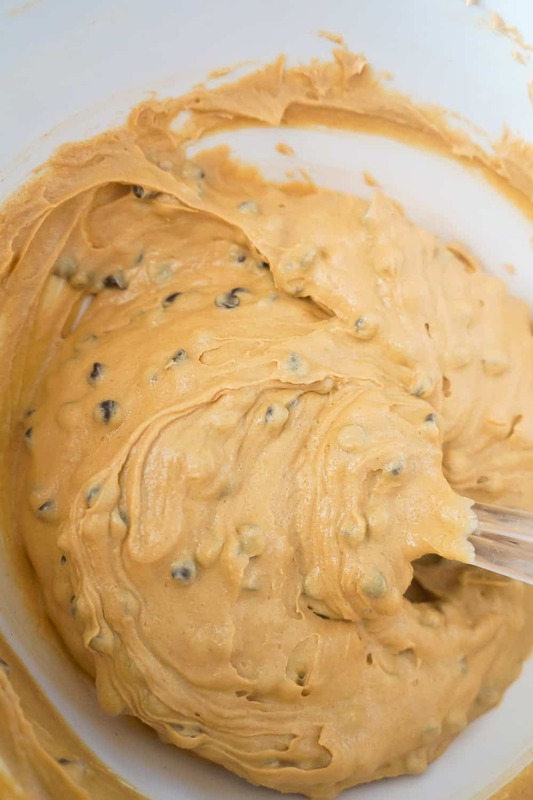 Be sure to make this edible cookie dough dip for your next party or gathering. And make sure you try it with Oreo Thins! If you are looking for more great cookie dough dessert recipes check out Chocolate Chip Cookie Dough Pie, Edible Cookie Dough with Peanut Butter Cups and Bite Size Brownies with Cookie Dough Frosting. Another delicious dessert dip recipe. 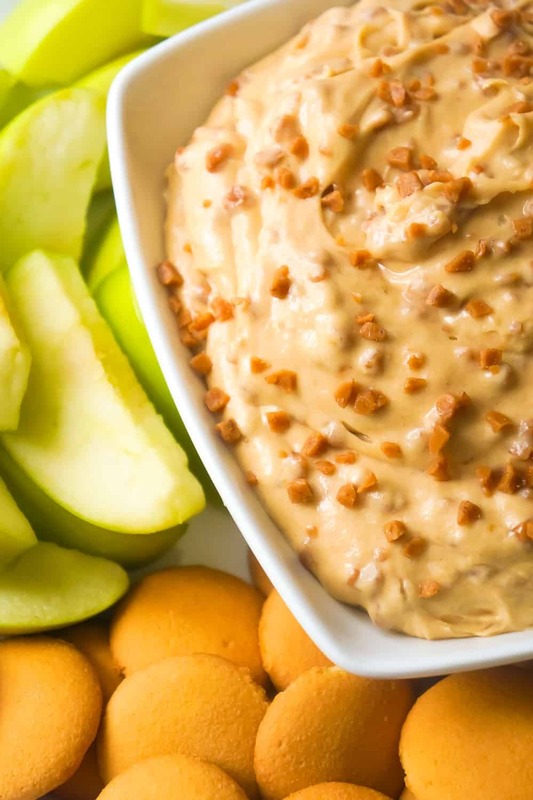 Check out this Peanut Butter Toffee Cheesecake Dip! 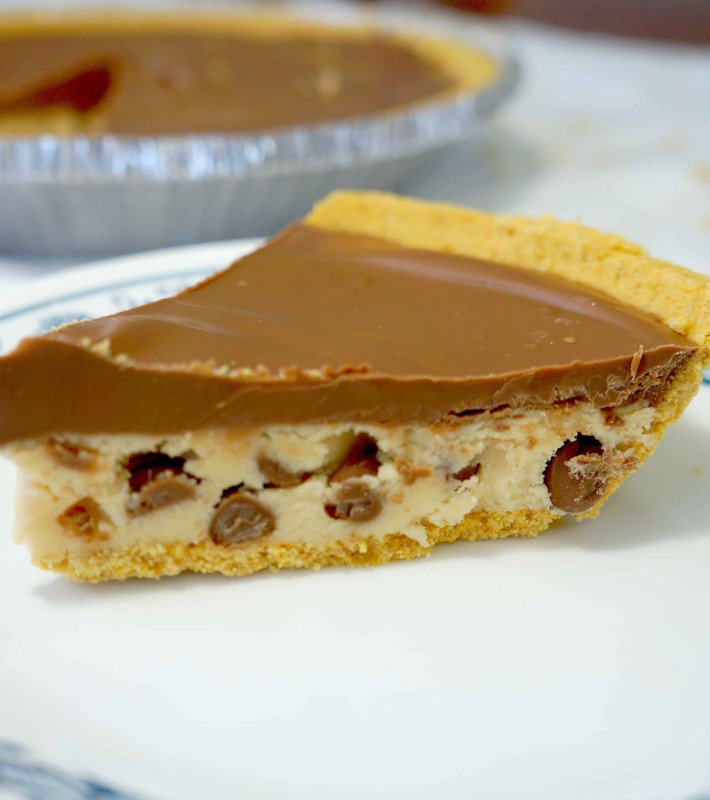 Be sure to also check out this Chocolate Chip Cookie Dough Pie! 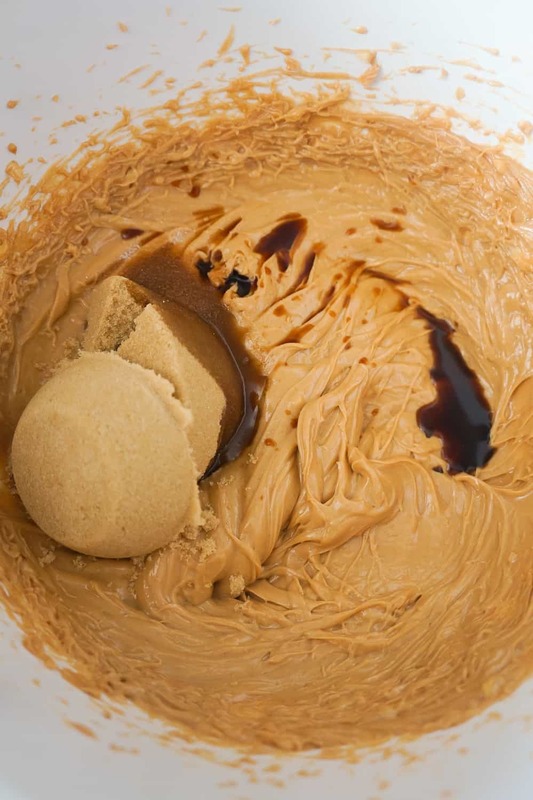 Peanut Butter Cookie Dough Dip is a no bake dessert recipe perfect for parties. This edible cookie dough dip is loaded with mini chocolate chips and served with Oreo cookies. 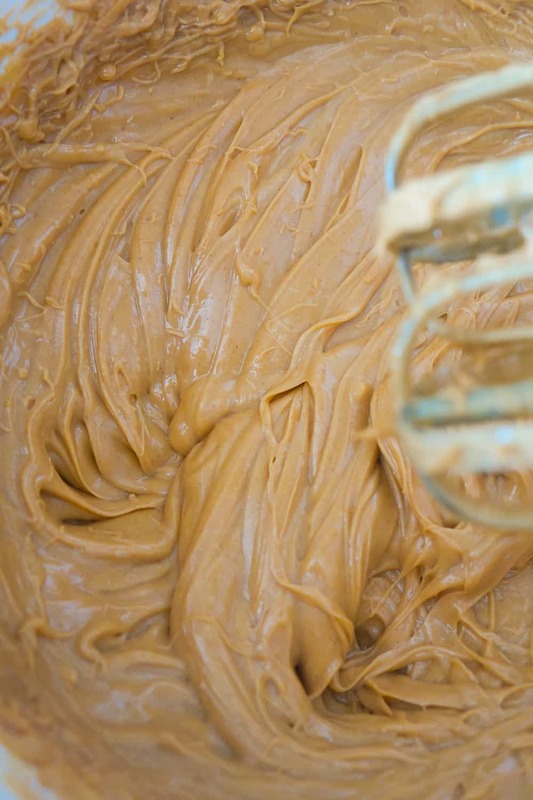 With an electric mixer, cream together peanut butter and softened butter until smooth. Add in brown sugar, vanilla and salt. Continue mixing until smooth. Stir in 1 cup of mini chocolate chips. Scoop dip into serving dish and sprinkle with 1 tbsp of mini chocolate chips. Can be served right away but best if refrigerated for about an hour first.